Here’s the truth: Paper.li wouldn’t exist at all if it wasn’t for all of you, our publishers! And because we are fully aware of that, we want to start a series to highlight our Power Users. What will it consist of? Well, a few weeks back we sent out an email to all of our Paper.li community featuring three paper publishers that we thought really stood out and were taking their content curation to the next level. As a result of that email, we received many suggestions of other Paper.li users that are also rocking their papers and content. We can’t keep that list to ourselves, so let’s start getting to know some hidden gems! Get the latest Marketing news and trends by subscribing to this paper! What? It’s true! This paper is incredible! Find news about abandoned places and towns. Worth a look. A paper about news sorrounding UK’s Fresh Produce Industry, very useful. B2B Rental news on this informative paper. For those interested in translation: Arabic – English focused paper. 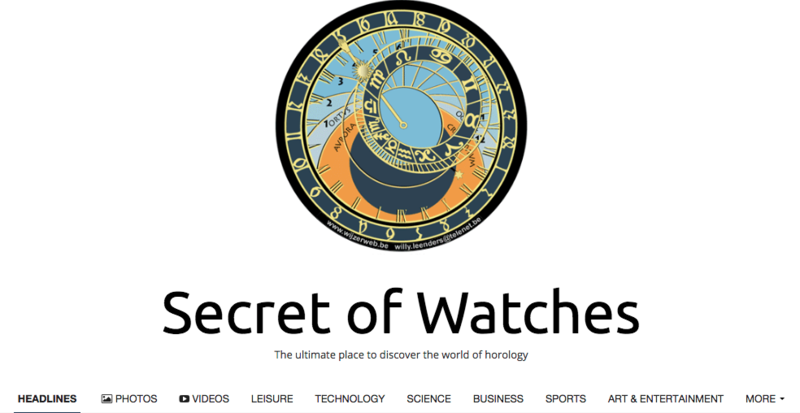 Interested in horology? There’s a paper for you! This paper belongs to a radio broadcaster, expect all kinds of news and stay informed! Looking for news about Africa? Oreed Group has you covered. This paper promotes the importance of having a Basic Income, read news around that. Should all beliefs be based on reason and evidence? The Rationalists think so and curate articles related to that. Wow, those are some great papers, I hope you enjoy them as much as we do. Are you also a Power User? Leave a comment below with a link to your paper! Just one small correction, Magda. Ghost Town Magazine is about ghost towns and abandoned places, not ghosts and the supernatural. Thanks for featuring us! My pleasure, Troy! I really like what you’ve done with the paper, it’s very nice. The Fire Support Daily (see link) is a daily recap of defense industry news. It is one of the most popular pages on my blog and has produced incremental site traffic. Thanks for sharing it, Douglas! 😉 Very nice job. Thank’s a lot for your offer. Swiss Inbound Marketing News tries to collect all the information about inbound marketing and content marketing in the german speaking market. For the german markets inbound marketing is fairly new, so it’s great to have this opportunity to present all the know how in a daily manner. It would be a great pleasure, if you would present our magazine in one of your next newsletter. Have a great day and thank’s a lot again. Thanks Roger, love to see Switzerland represented here! Sure, we give love to our free papers too, Patty! The only problem with the article is you left out “Intel Update . Org”. It provides up to date news from around the world that can’t be found anywhere! Hehe, great job with your paper Mandy! Please review my entry……and let me know how I might promote the distribution of the topic better. I have not been able to figure out…..how to get it to be circulated more widely…..”Do you want to hear the Supreme Court…..”. I do nto udnerstand when i get an email from papers.li……it just shows my title…and usually…the same….peper someone else has written…. Hi Larry, write us an e-mail to support@paper.li and we’ll be happy to help. All the examples are of big businesses. What about the small social ones? It’s not all about money! I publish a weekly paper featuring the best #careerhacks that I’ve found on the web and pieces that I’ve posted. You can find it here at . I hope you find it useful. Hi Ron, absolutely love your paper! 😉 Watch out for my next post! Thank you so much, Magda for featuring Al-Qamoos paper. This is awesome and it puts more pressure on me to strive for more great content. Thanks a million! Although my Be[a]Cause couldn’t make it to the list of ‘Rocking’ paper.lis as I might not be the power user that the protocol suggested, I am excited and inspired to see 10 of these publisher doing it good and publishing that rocks. Congratulations to the top 10 and rest of us, let’s keep up the good work …! Way to go! Thanks, very insightful and helpful. Inspired to curate better content for small creative businesses in Social Media in the Asia Pacific region. I live in Australia. Most of the movers and shakers in my specialty (implementation / support of the SAP ERP) live and work (and post) in the US and European time zones. I started using paper.li as a way of collecting the interesting links and news that these people posted while I was asleep. You’ll note that one of the newsletters uses a pro account. I like the Editor’s note, because it lets me publicise events in my industry (i don’t get any financial benefit from these, they’re just an endorsement). Hi Martin, this is great! I am going to promote your paper in my upcoming post 😉 Great job! !